Glenn Close attends the Maltin Modern Master Award Honoring Glenn Close during the 34th Santa Barbara International Film Festival at Arlington Theatre on February 2, 2019 in Santa Barbara, California. Glenn Close added some edge with a studded black clutch. 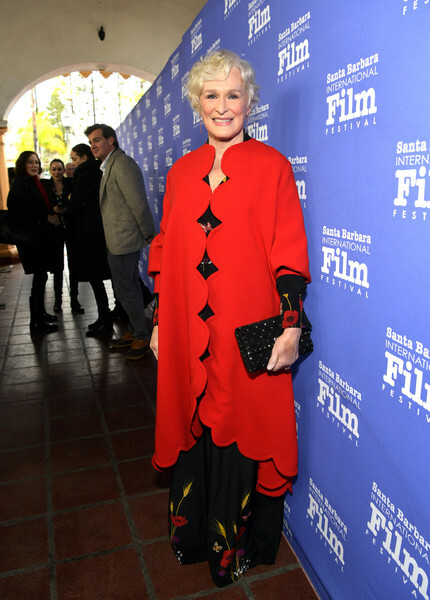 Glenn Close looked vibrant and chic in a scalloped red coat by Valentino at the 2019 Santa Barbara International Film Festival.